Digital convex (DC) sets plays a prominent role in the framework of digital geometry providing a natural generalization to the concept of Euclidean convexity when we are dealing with polyominoes, i.e., finite and connected sets of points. 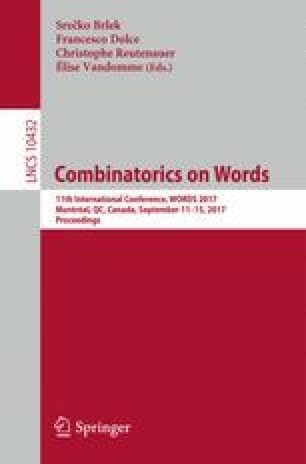 A result by Brlek, Lachaud, Provençal and Reutenauer (see ) on this topic sets a bridge between digital convexity and combinatorics on words: the boundary word of a DC polyomino can be divided in four monotone paths, each of them having a Lyndon factorization that contains only Christoffel words. The intent of this paper is to provide some local properties that a boundary words has to fulfill in order to allow a single point modifications that preserves the convexity of the polyomino. This study has been partially supported by INDAM - GNCS Project 2017.